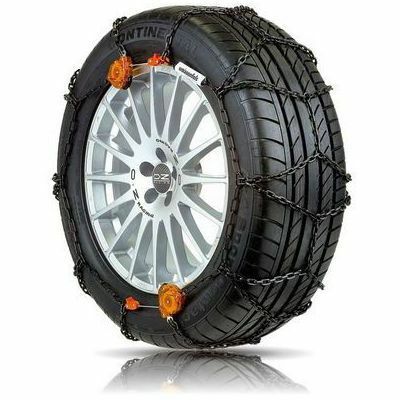 Also known as the Clack and Go SUV, the Weissenfels SUV RTS is a self-tensioning 13mm chain compatible with vehicles equipped with ESP or ABS. It has been designed to prevent damage to wheel rims thanks to plastic protections on the metallic elements. Very good quality chains and superb tensioning. Fitting takes around 5 minutes on 2 wheels. To review the Weissenfels SUV RTS, you first have to log-in by clicking here.